It was in 1964 that Centre Décor Hudson was founded in the picturesque town of Hudson, QC, located 35 minutes west of Montréal. 53 years and 4 owners later, Centre Décor Hudson has remained a leader and innovator in home décor. Since July 2010, it is owned by Lea Durocher who excels in managing any design challenge. The “Wee Paint Shoppe” – as it’s lovingly referred to by locals – is the only shop in town to offer both soft and hardscapes for the home, and carries all you need to get the job done: from Benjamin Moore Paint, to fabric, wallpaper, tiles, vanities and cabinetry, furniture, sinks and faucets, and so much more. We work closely and extensively with local contractors, decorators, designers, carpenters, electricians, plumbers, seamstresses, re-upholsterers, just to name a few. With Lea’s extensive background in theatrical design and décor, and the shop’s solid clientèle base from all over the region, Centre Décor Hudson continues to inspire and expand the local design scene. 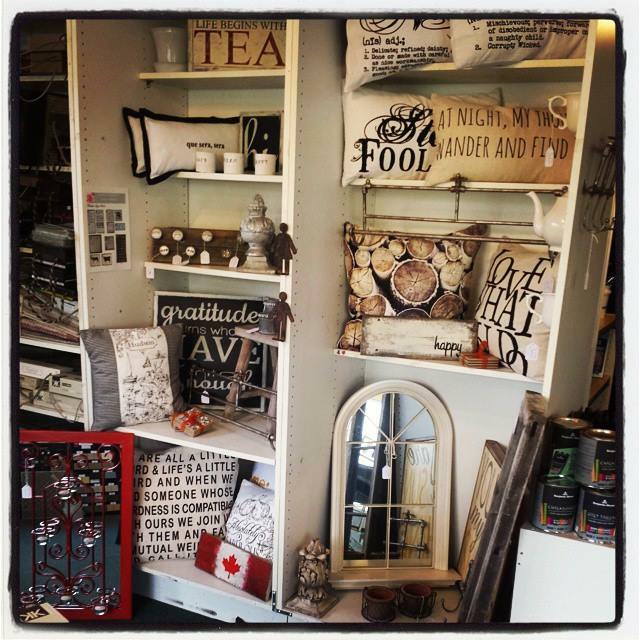 We are extremely proud to be working with many local artists and artisans, crafters and upcyclers to bring unique and special Décor items to our shoppe. We truly encompass living local. We also offer furniture refinishing classes with our owner Lea where you can learn from her experience.